We try to celebrate Earth Day every day here at The Flag Shop. We save our scrap fabric and old banners for Common Thread Cooperative to use, and we encourage clients to use Echotex®, our 100% recycled flag and banner fabric, for their banners when appropriate. We were the first to bring a recycled banner fabric to market in North America, and we’ve been quite pleased with the results. 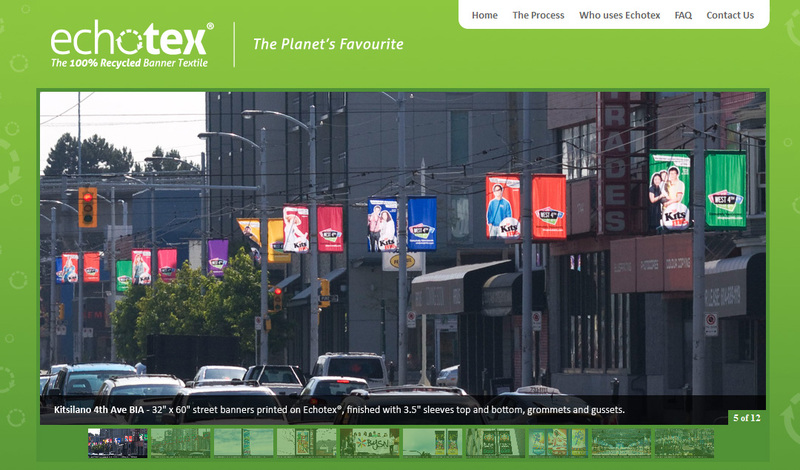 As you can see from our Echotex gallery, we’ve created a number of beautiful street banners for our clients since 2008. April 6th is Canada’s official Tartan Day! Canada has a rich and diverse cultural background. The last census estimates about 15% of the Canadian population identifies as Scottish. Scottish Canadians have been showing their binational pride with the Canadian Maple Leaf Tartan since it was created in 1964 by David Weiser, but it was only on March 9, 2011 that the government of Canada made it an official symbol. Read more about it at the Canadian Heritage site. We have started carrying the Maple Leaf Tartan flag at an introductory price of $129.95 as part of our Highland flag collection. You are currently browsing the The Flag Shop Blog blog archives for April, 2013.